Patients with CM-MO present therapeutic challenges and require multidisciplinary care, including pharmacological and non-pharmacological therapeutic approaches . Various pharmacological therapies have more recently been developed to help these patients better manage their condition [10, 11, 12, 13], but symptom resolution is not always optimal and up to one third of patients relapse by 12 months [14, 15, 16]. Medication withdrawal is strongly recommended and its use can be viewed as a “reset” that then affords patients a greater likelihood of positively responding to appropriate prophylactics [13, 17, 18]. It is most helpful when patients are provided education and support about proper use of medications and taught strategies for avoiding relapse . Studies have shown that such approaches can produce significant improvements that endure for extended periods, up to 5 years [20, 21]. CM-MO results in pervasive negative consequences, where personal suffering is accompanied by reduced quality of life and disability, and decreased abilities to participate in daily work and/or family activities, which often results in increasing symptoms of depression [12, 22, 23, 24]. Clinicians and researchers working in the field of headache disorders are becoming increasingly aware of the consequences of this condition, the resultant need for a multifactorial approach and treatment . 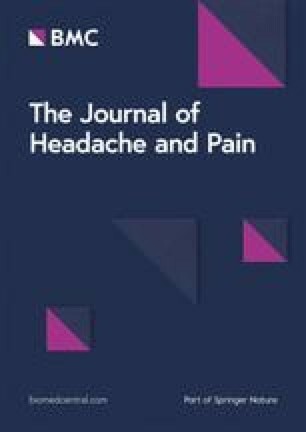 The joint use of pharmacological and non-pharmacological techniques has been shown to improve the health status of migraine patients and to enhance clinical outcomes by teaching and reinforcing patients to implement alternative procedures for addressing and coping with headache attacks [9, 26, 27, 28, 29, 30]. Among the wide array of available non-pharmacological treatments, mindfulness has been recently included in rehabilitation programs for chronic pain conditions [31, 32, 33, 34, 35, 36]. Its efficacy has been addressed in a recent review of the psychological therapies in the neurorehabilitation of pain syndromes , where it has been judged as effective (Grade Level A) for chronic pain syndromes with heterogeneous physiopathology, exclusive of headache disorders. However when this review was prepared researchers had only begun to explore the utility of mindfulness for headache, so no firm recommendations could be made. The success with other pain conditions, however, has spurred researchers in the field of headache to increasingly turn their attention to mindfulness training as another viable alternative approach for supplementing patient care. The main goal of this approach is to increase patient awareness of their pain and improve their abilities to manage headache before resorting to their former medications [38, 39, 40, 41, 42, 43, 44, 45]. As concluded in two recent reviews on the use of mindfulness-based approaches in headache disorders [46, 47], this kind of approach seems promising. In brief, literature findings [40, 41, 42, 43, 44, 45] suggest that various mindfulness-based approaches may be helpful for headache sufferers, and that it may be of value also for those with CM-MO. However, the available studies are limited by an inadequate consideration of some of the most important endpoints in chronic headache research, namely the frequency of headache and the consumption of medications for acute headaches management. Further, other meaningful indicators of effectiveness, such as pain intensity, headache duration, disability, quality of life and some mental health-related variables, such as stress, anxiety, pain acceptance or self-efficacy, have yet to be fully explored. A second relevant shortcoming is the limited duration of follow-up reported in these studies, which has ranged between 3 weeks and 3 months. Finally, what is not clear is the ability of a mindfulness-based approach by itself to impact key primary as well as secondary migraine headache parameters, as well as promote reductions in consumption of acute medications. Two research areas, thus, warrant further attention: first, identifying optimal components and delivery schedules, by adequately specifying the intervention protocols; second, conducting rigorous controlled trials that assess the durability of effects over extended time periods, with appropriate control conditions and a clear specification of primary and secondary outcomes. Patients participating in the Med-Group received only prophylactic medications. The preventive compound was chosen on the basis of clinical history and medical comorbidities [49, 50, 51, 52], such as done in routine care. Patients included in the MT-group, participated in a series of mindfulness training sessions and were not prescribed any form of prophylaxis. The mindfulness protocol we used was implemented on the basis of the Mindfulness-Based-Stress-Reduction MBSR program (MBSR) by Jon Zabat-Zinn . Together with a close variant – the mindfulness-based cognitive therapy (MBCT)  – this is the most largely applied for various forms of recurrent pain , which we partially modified with regard to the frequency and the duration of sessions to increase the likelihood of adherence to treatment by patients. Training was provided in small groups (5–6 patients), that met in a relaxed and quiet room every consecutive Monday for 6 weekly sessions, each of about 45 min duration. All sessions were guided by an experienced neurologist trained in mindfulness practice. The order in which the different techniques and phases were administered– with the due caution and flexibility – was as follows. First, patients were provided a detailed explanation about the treatment protocol; i.e. what it is and what it is not, and in which clinical conditions it may be of most value. Second, patients were trained to assume a relaxed position that promoted good and regular breathing, while their eyes remained closed, with them maintaining a relaxed sitting position. Third, during the first meditations (approximately up to the second/third session), patients were invited to focus on attention on their breathing, on the present and on silence to enhance awareness of current mind and body sensations. Fourth, once patients learned to focus on the present, they erre requested to enhance awareness of their thoughts (third and fourth session), accepting them in a non-judgmental way. Fifth, in the last sessions (generally the last two), when patients had gathered higher awareness of their thoughts and the capacity to accept them, they were invited to preserve themselves from interfering thoughts, and to focus on the present and on the sensations they received from their bodies. When distractions occurred, patients were informed to resume attention to breathing and body awareness and observe the interfering content in a non-judgmental way . Finally patients were encouraged to supplement their training with regular home self-practice, of 7–10 min per day (an amount typically recommended in studies of this type). The importance of practicing this form of meditation in an effortless manner was pointed out. Unlike prior investigations , we purposely limited the number of techniques to promote mastery of a few (versus exposure to numerous modalities where patients may be unable to master any to a meaningful degree) and keep time demands low and similar to that for pharmacological treatment. Mood is one of the most important non-headache factors associated with migraine chronification [7, 64] and reducing headache frequency can lead to reductions in depression [29, 66]. Nonetheless, the relevance of depressive symptoms remains somewhat controversial. In fact, in previous studies on CM-MO samples [24, 67] depression scores – measured with the updated BDI-II  and not with the original BDI – were not correlated with frequency of headaches and, when implemented in a predictive model together with headache frequency and pain intensity, BDI-II scores had higher value in predicting disability and quality of life scores. Our finding that Mindfulness practice (as well as medication) had a modest positive effect on levels of reported depression over time is compatible with a conclusion previously drawn in studies addressing depression and mindfulness-based treatments [69, 70, 71, 72, 73]. These findings show that the effect of mindfulness-based approaches on symptoms of depression were superior to psycho-educational intervention and non-inferior to individual cognitive behavioral therapy, that they yielded similar results compared to antidepressant therapies and, finally, that the effect is maximized when the treatment is combined. Considering that only 40% of patients in the MED-group received a therapy having some kind of mood-modulating effect, the finding that the impact on mood component was similar is in line with the previous report, and suggests that mindfulness-based treatments, combined with appropriate antidepressant therapy, might yield an increased impact on symptoms of depression.